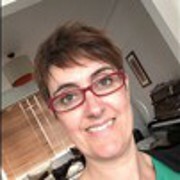 French native speaker with 18 years experience as a French teacher in London, I have a passion for this rewarding job. I would love to help you revise your French or teach you as a beginner; whether you want to prepare for a business trip, learn a new skill , discover this beautiful language or simply prepare for an exam. I will tailor my lessons to suit your needs and make sure you are confident as you progress. Have been teaching for 18 years full time preparing my students for the GCSE and A-Level exams. Sophie is a very experienced secondary school teacher, head of year, tutor and mother of two. Her experience in the classroom has provided her with a wealth of resources, teaching techniques and a deep understanding of individual students' learning styles and abilities. Sophie wants to focus more time to 1-on-1 tutoring to maximise the learning each student gets with her, to ultimately reach their full potential. If you're looking for a French tutor, Sophie's the tutor for you! Very skilled at getting the best out of my son, he's already on his way to getting better results at school. Excellent Tutor - son is at ease and gaining confidence in the subject.